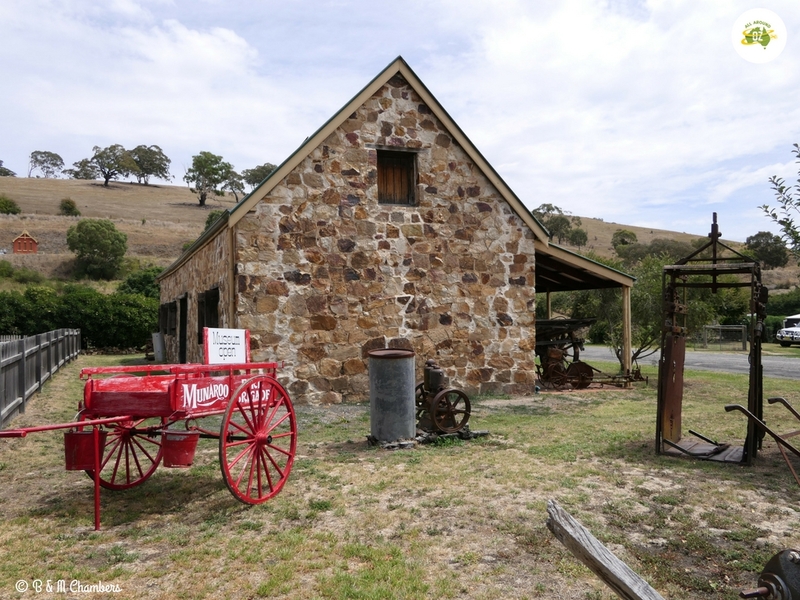 Just off the Mid Western Highway about 50 kilometres south west of Bathurst, you will find the historic village of Carcoar. A visit to Carcoar is like stepping back in time to some extent. It has a quiet, sleepy atmosphere and the many historic buildings that make up the bulk of the village, businesses and dwellings are amazing. 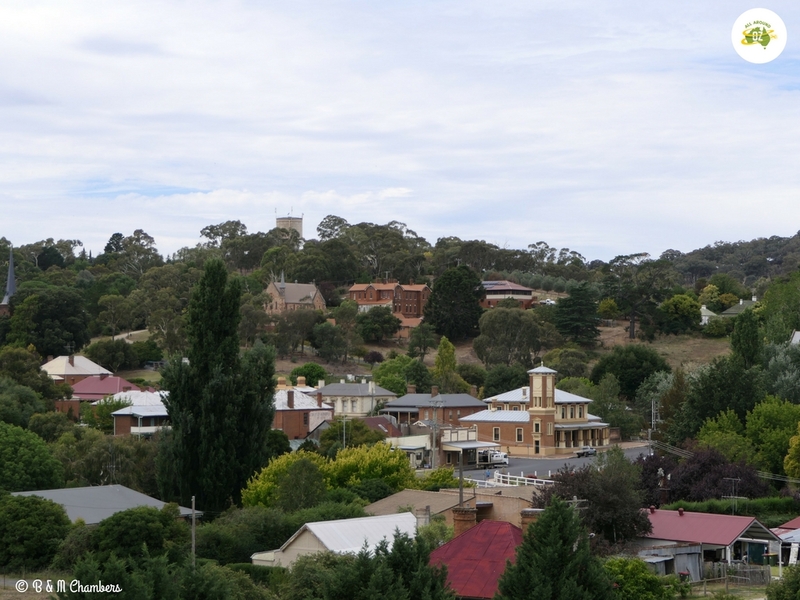 The view over the small village of Carcoar in Central West NSW. The village of Carcoar was founded in 1839. By 1850 it had a population of 300 and was the largest inland settlement after Bathurst. With the gold rushes of the 1850’s Carcoar continued to grow, with shops, banks, a Court House and a hospital being added. It was even the site of the first attempted bank robbery in Australia when two of Ben Hall’s gang paid a visit. 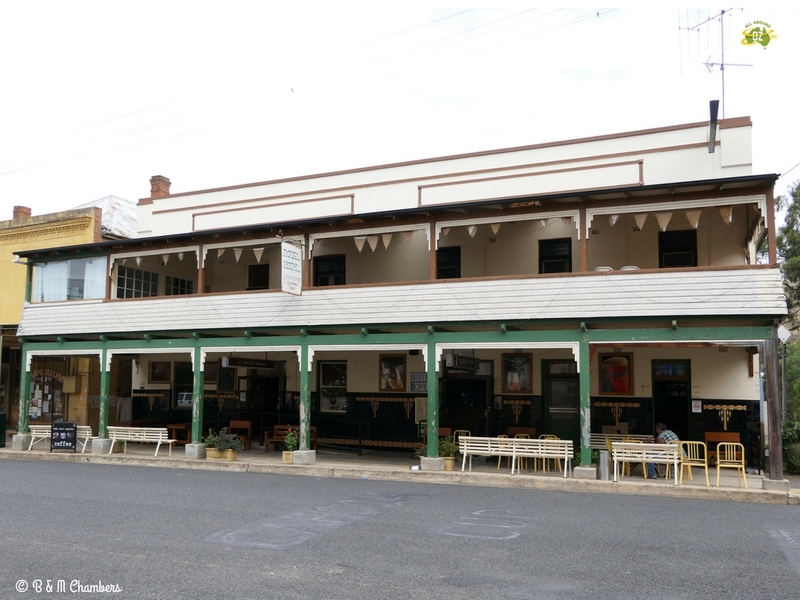 These days Carcoar is a lovely spot to visit, especially if you love old buildings or learning about the history of an area. There is a lovely park in the centre of town, over-looking the Belubula River, where you can enjoy a picnic. It’s even named after local Para-Olympic legend, Kurt Fearnley. If you don’t fancy a picnic there is a coffee shop open in Stoke House B & B or the Royal Hotel in the middle of town has begun doing meals again. As for sight-seeing I recommend you start with the old hospital. The Old Carcoar Hospital Museum was a real surprise. I was lucky to find it open as it only opens on Thursdays. The Museum is run by volunteers and I met two of them Margaret and Greg. Greg has undertaken many of the renovations and repairs to the building that have been required and Margaret has an incredible knowledge of the history of the building, it’s doctors and place within the local community. Completed in 1861, the building is in remarkably good condition. When it ceased to operate as a hospital after it’s amalgamation with nearby Blayney Hospital all the equipment was left behind. The Operating Theatre is as it was. There are instruments and trolleys sitting as if waiting for an operation to begin. There is even still an x-ray machine there. 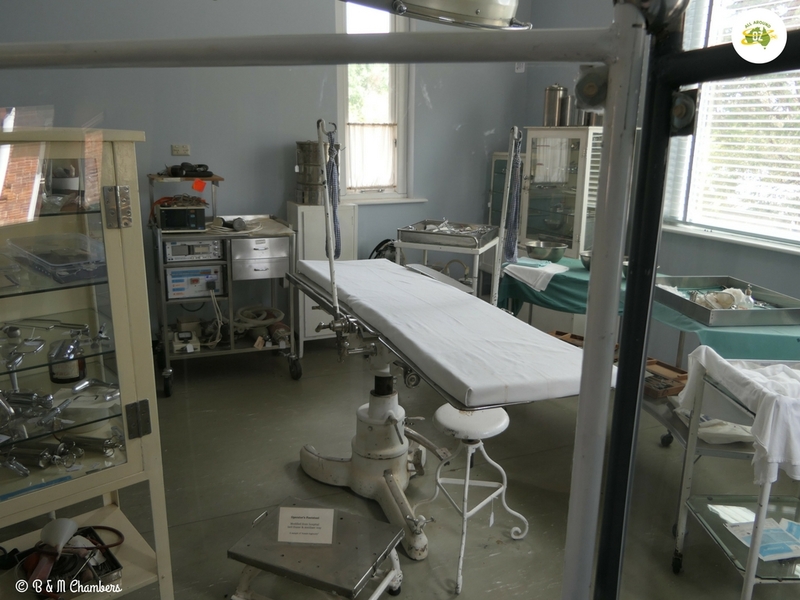 The Operating Theatre in Carcoar Hospital Museum looks like it could swing into action at any time. The second floor of the hospital is in-accessable as at some point, the stairs, which were cedar as well, were removed (stolen). It really is a fascinating look back on health care in days gone by. 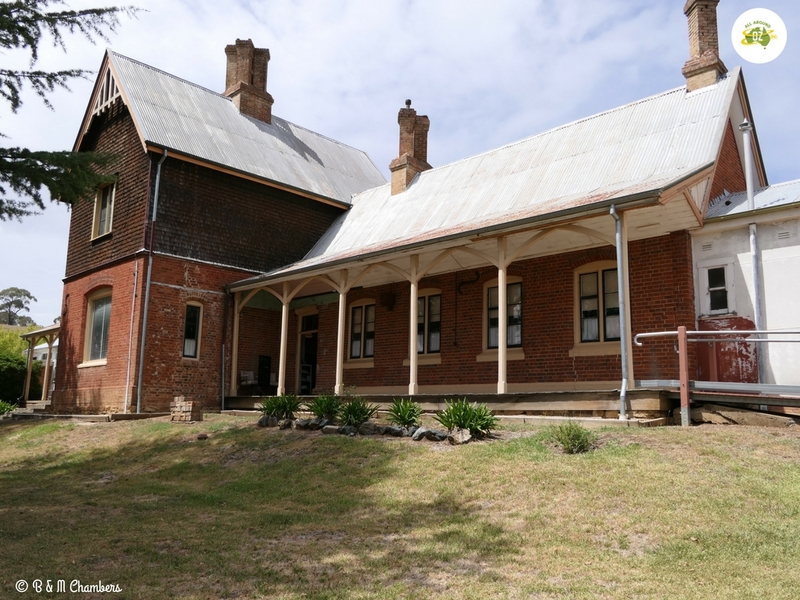 The Carcoar Hospital was opened in 1861 and is now a museum. Dating back to 1849, Stoke Museum is only small but it is convict and a most impressive building. It was previously used as stables and now houses a display of sulky’s, buggies and farming equipment. The solid granite walls are at least two feet thick, giving the air inside a welcoming coolness on a hot day. Built in 1849, this small museum is amazing just for the building alone. Starting at the bottom end of the main street you will find the local Court House. Built in 1882, it’s main feature is the clock tower that doesn’t have a clock! It hasn’t operated as a Court House since the late 1950’s. Next door is the Post Office which is still in use today and offers more than just Australia Post services. Across the road is the Royal Hotel, which as I mentioned is now providing meals of an evening and on weekends. With it’s long, shady verandah it would be the perfect spot to enjoy a cold beer! Other buildings in the main street house a collection of shops and some have become private residences. The Royal Hotel in the main street offers a shady spot to enjoy a beer. 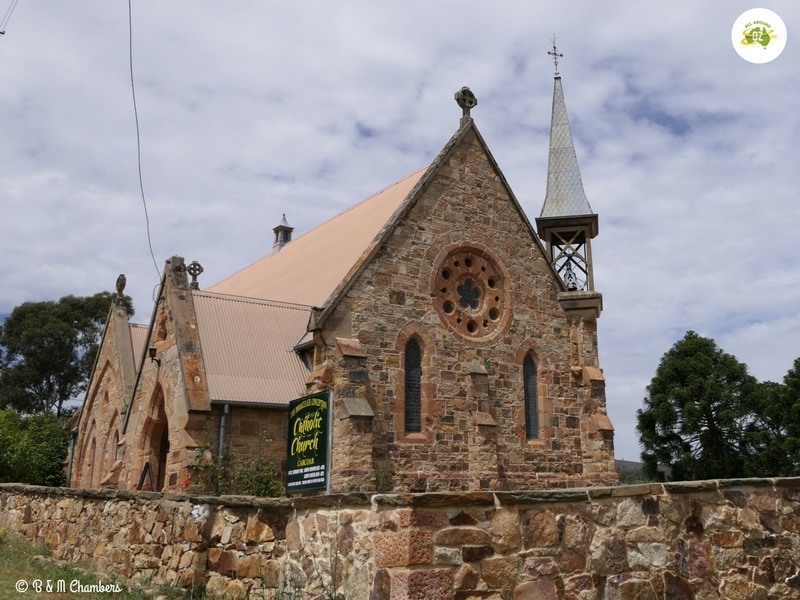 There are two churches located in Carcoar and both are fine examples of Gothic-style architecture from the mid to late 1800’s. St Paul’s Anglican Church is located in Collins Street and is an impressive structure. It’s stand-out feature is it’s tower and steeple which can be easily seen from the main road. 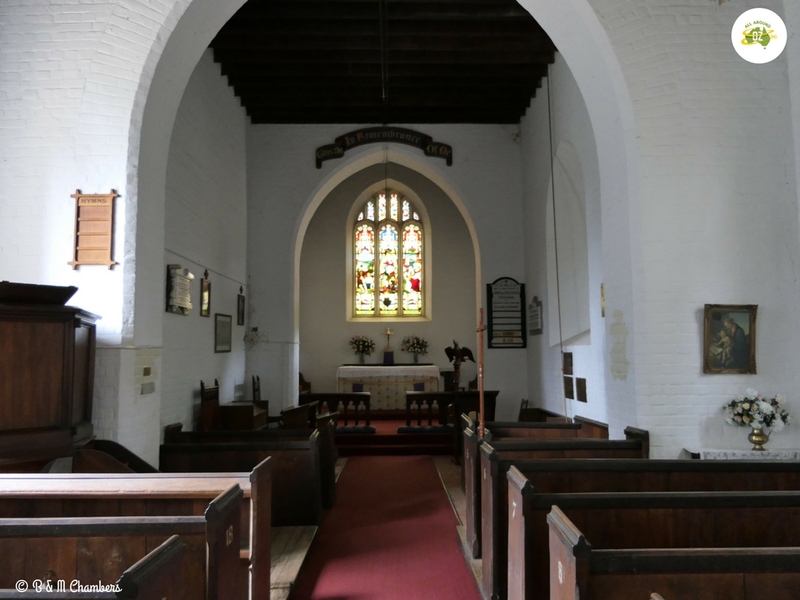 The interior of St Paul’s Anglican Church is almost in original condition. A little further up the hill is the Catholic Church of the Immaculate Conception. Designed by Bathurst architect Edward Gell and built by local builder John Cody in 1870, this little church is just beautiful. Built from rose sandstone it has lovely stained glass windows and it’s bell was originally purchased for it’s Anglican counterpart but was to large. Carcoar’s Church of the Immaculate Conception is a beautiful little rose sandstone building. Adjacent to the Church of the Immaculate Conception is the Shalom House of Prayer. Built in 1874, it was formerly the Convent of Mount Saint Joseph. These days it is a welcome place for anyone who is looking for a religious retreat. For anyone who is camping or caravanning, the place to stay when visiting Carcoar is Carcoar Dam. This awesome FREE camp is just a 10 minute drive up the road. It is a peaceful spot to camp although it can get busy at any time of the year. It is also a popular spot for fishing and water skiing. This camping spot was also immaculately clean. We did not see any rubbish laying anywhere. Obviously the people who stay here and Blayney Council are doing an awesome job! Just behind the dam is the Blayney Wind Farm and you can drive around the edge of the dam, until you are almost underneath some of these giant wind turbines. 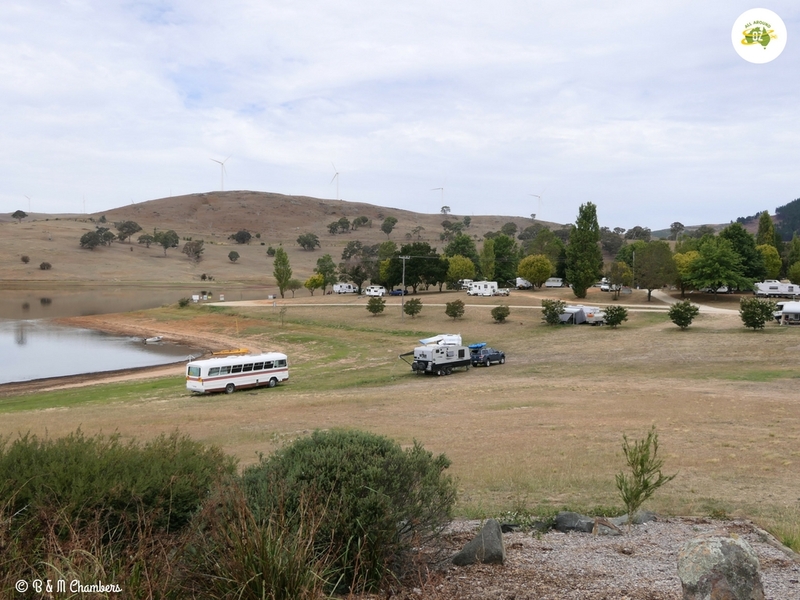 Just near Carcoar is this awesome FREE camp. Accommodation options in Carcoar itself include the Stoke House B & B, the Royal Hotel or the Old Carcoar Post Office Guest House. For more information on the historic village of Carcoar and the surrounding area you can visit their website HERE. It really is a lovely spot to visit and well worth diverting off the highway for. Thanks for your comments about the Carcoar Hospital Museum, Melissa. We enjoyed meeting you and hope you can call again on your travels. We have a Fb page now and we also recommend the website carcoarvillage.com. Happy travelling. Thank you Margaret. It was great looking around the hospital. It really is a credit to you, Greg and the other volunteers. Interesting blog post, we may need to pay a visit to this town – always looking for places not too far from Sydney to explore. Thanks! Yes a doable distance from Sydney for a weekend. Really is an awesome little place.